Salad greens are one of the easiest crops you can grow both indoors and out. 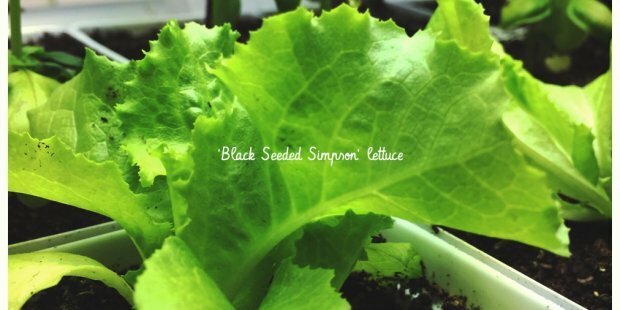 While lettuces are a cool season crop for those of us in southern parts of the country (hot summers, mild winters but with freezes), and you can start lettuce outdoors in the fall to grow through winter. But by the time December rolls around, temperatures can get too cold for good lettuce seed germination. 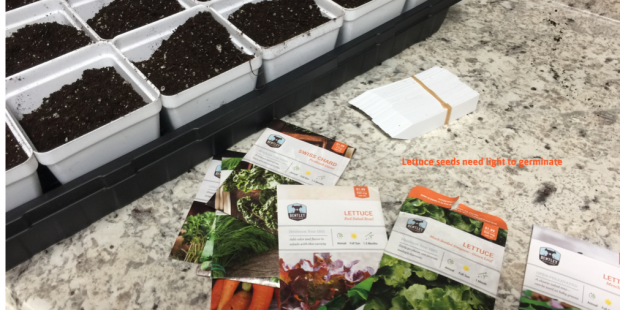 So seeding lettuce indoors during winter is a great way to keep your harvest growing. To speed up germination, use a humidity dome and a seedling heat mat to get things moving. Then set your lettuce seedlings under grow lights once they germinate. High Outpot T5 flourescent lamps are great for growing lettuce and other vegetative crops. It's important to know that lettuce seeds need light to germinate, so don't bury them under the soil when you sow them. You can sow lettuce seeds into seed plugs or 4" pots. Always drop 2-3 seeds in just in case one or two don't germinate. Thin out extra seedlings after germination. One of my favorite varieties? 'Black Seeded Simpson'.